This picture makes me laugh. 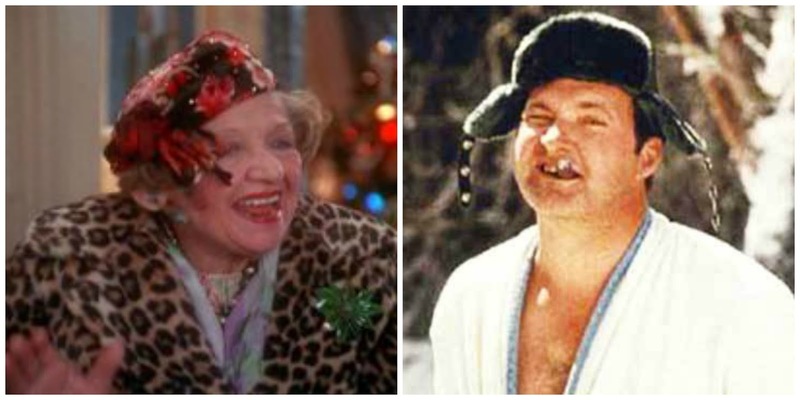 I look like a mix between Aunt Edna and Cousin Eddie. HAHAHA! When we decided we'd stay here in Texas for Christmas, I made sure to plan some fun, festive things for us to do the week leading up to Christmas. Our first night of fun was a carriage ride in Highland Park with the Shull family. They have carriages that seat six up to fifteen. We opted for the twelve passenger carriage and had plenty of room. Kind of hard to see, but three cute girls sat in front. This was the view from behind me. The weather was absolutely perfect AND the houses were gorgeous. We had so much fun and I'd definitely recommend this to anyone! Wednesday night, we had our neighbors over for dinner. Marla showed up in almost the same shirt I was wearing! We laughed and laughed! You guys know I'm trying my best to get on the dog train, but I'm just not there yet. We went to Tab's mom's house on Thursday for a little get together with all the cousins. This dog was sitting on the couch next to me. I grabbed my phone to take a picture and the dog turned and looked at me. EEK! We were all laughing so hard! Seven grand kids around the kitchen table. The girls did a little shopping on Friday before we left. She was channeling her inner-Cindy Lou with this headband. Right? Christmas Eve...we started a new family tradition! We headed to our church's Christmas Eve service and then had dinner out before looking at Christmas lights. We quickly got pajamas on and Nixon insisted on setting out broccoli and carrots for the reindeer. Those pesky reindeer forgot to eat those! EEK! Tab and I were up for hours getting everything assembled. Being an elf is TOUGH! When we headed to bed, we just happened to see Santa was in Cape Girardeau (the town in Missouri where lots of my family lives). Sunday morning, Santa came through in big ways. We had three super excited kiddos! Bowen got a Power Wheel truck and was dying to try it out! We headed to Tab's dad's house later that evening and Bowen told us he'd just follow us there in his truck. The crazy part is...HE WAS SERIOUS! hahaha! We finally got out of our pajamas around 3:30 and got ready to head to M's house. These mermaid/shark tale blankets were a hit! And Marla had a custom bobble head made for Tab and then painted his outfit to look exactly like his official's uniform. I love your Christmas Eve outfit! That tartan looks so good with your hair color! Laughing at the custom bobble head--such a fun gift! I love the bobble head! What a fun week ! Looks like a great week! Bowen is HYSTERICAL. Oh my gosh, that bobble head...I showed Ryan and he thought that was so funny. I just watched Christmas Vacation last week while I wrapped presents. Glad y'all had a great Christmas! Get on the doggie train friend!!! Lol!!! ThAt selfie with the dog cracked me up!